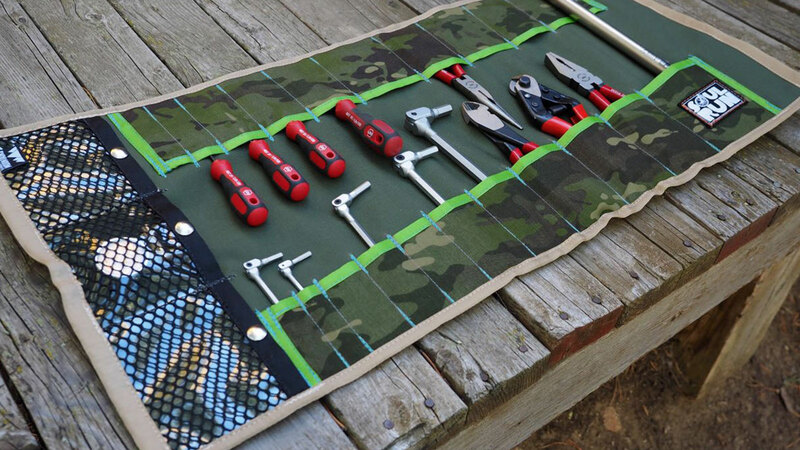 The Pro Tool Roll is our largest tool roll made for the traveling wrench. We designed this with input from a pro wrench, a pro cyclist and our own experience as bike mechanics for years and years. It has room for all the tools you will need for a road trip and is a great alternative to a tool box. Made out of a variety different burly fabrics including: sparkle upholstery vinyl, Cordura and Sunbrella which are all very tough and durable fabrics. Pro roll is fully lined with 1000 weight Cordura fabric, polypro webbing, two quick release closures and a bomber handle. 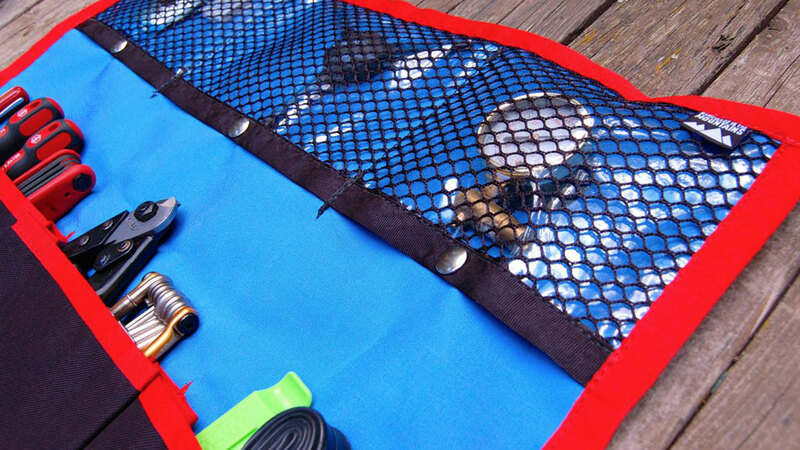 Three clear vinyl/mesh pockets at the top for smaller tools and seven pocket at the bottom. 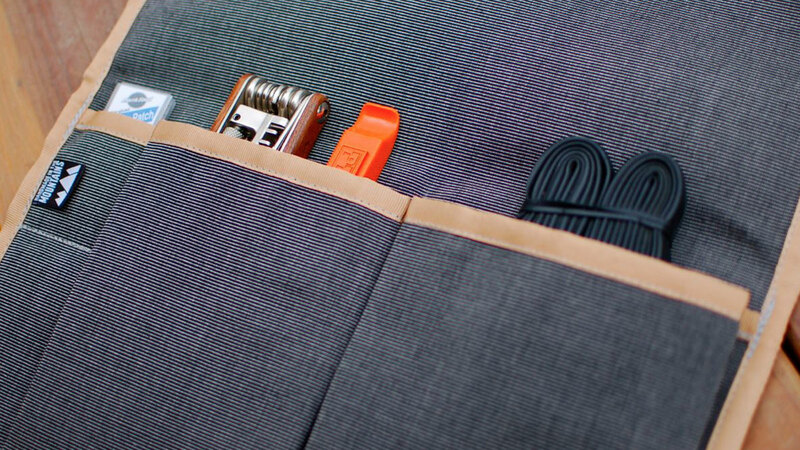 Three larger pockets for bulky tools and four flat pockets for smaller thinner tools. 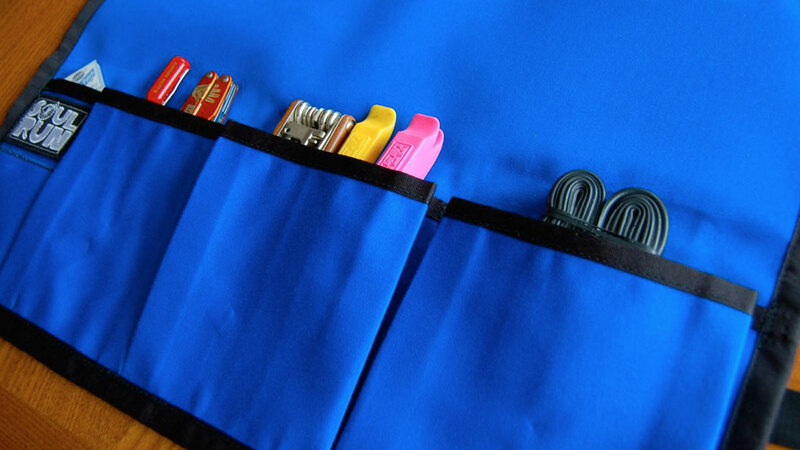 The tool roll has two grommets for hanging it on a peg board or work stand. We use the same grommets used on the sails of sailboats, so they will not pull out of the fabric. The snaps used on the mesh pockets are marine grade so they will not rust and are super strong. It is 26″ x 24″ when opened up. These are hand made and should last you a very long time. 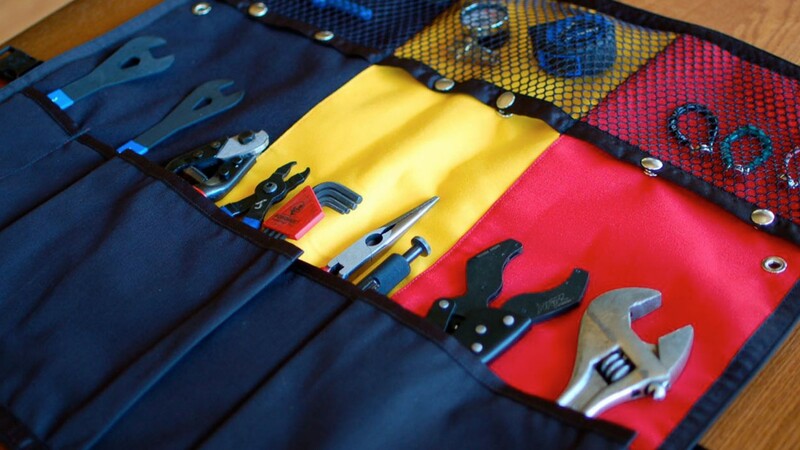 The Pro Mechanics’ Tool Roll is currently available through our Etsy Store.